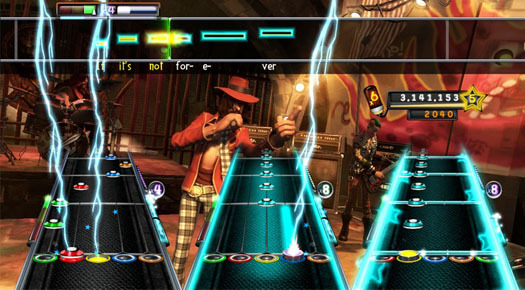 Guitar Hero 5 is the next release in Neversoft’s popular and ever-growing Guitar Hero series, and is due out on the PS3 and other formats in time for the holiday season. 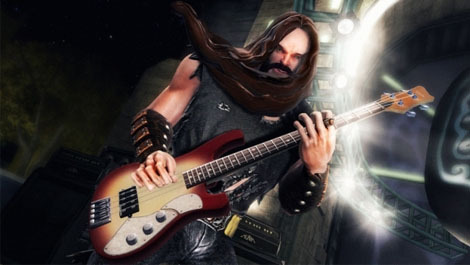 The game itself looks to have vastly improved graphics in comparison to previous titles, and as always will come packed full of songs that cater for each individual’s musical taste. A new 85-strong list of songs with artists including Tom Petty, Bob Dylan, the Rolling Stones, Stevie Wonder, Wild Cherry, and Dire Straits have been confirmed. GH5 seems to be focused more on team play than single play, and is more focused on the band as a whole as opposed to just the Guitar, just as World Tour was. 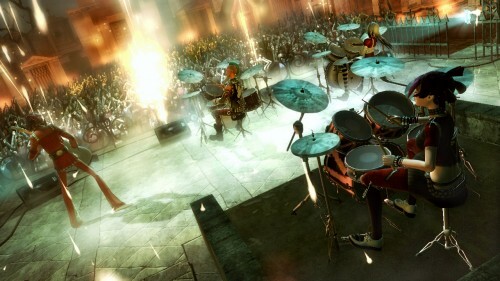 A new feature in this release will be the ability to be able to chop-and-change your instruments as you play. For example, you could be starting out on the drums, with your friend on vocals and another friend on the guitar, and when you feel like doing so you can all swap roles, quit your instrument, or ask someone else to join in – without the song ever ending. Another feature that has been added is the ability to play more than one of each instrument, so you can have up to four drummers, guitarists or singers, with any song on almost any mode. New multiplayer modes have also been confirmed, with Momentum (everyone tries to get a high score whilst playing) and Streak (points are only awarded for streaks of ten) set to take the game to new heights. All-in-all, GH5 looks to be an improvement on its predecessors, especially with the new multiplayer modes and the ability to drop in, out and change instruments whenever you feel like it. This sounds really good! Being of the older generation, I bet I can remember the original guitar solo from Sultans of Swing by Dire Straits, and if that’s in there, then I’ll buy it!